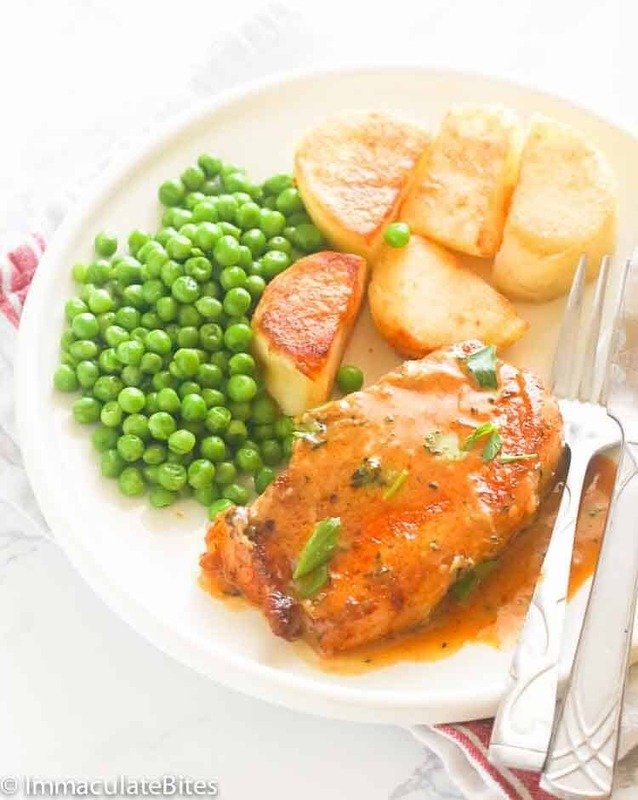 Pan Fried Boneless Pork Chops – a family-friendly meal which is an easy and quick fix for lunch and dinner, seasoned with pantry staple ingredients then pan fried to perfection and served with its orange zesty sauce. Easy yet it hits the spot everywhere! 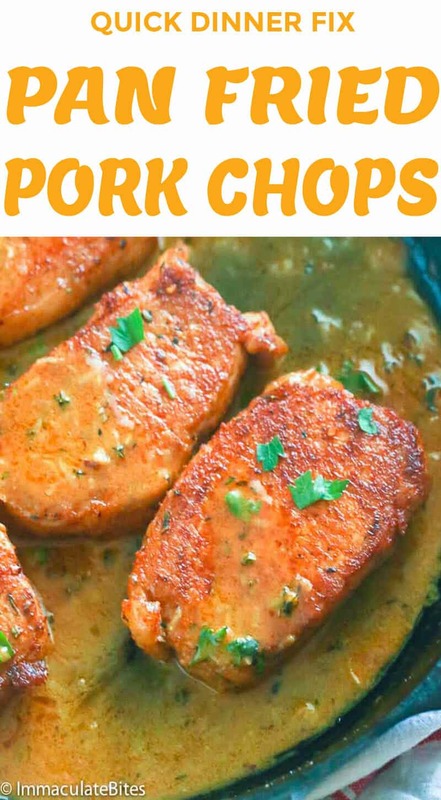 If you’re a fan of Pinterest, try searching for pork chop recipe and you’d notice that it gives you tons of choices on how to prepare pork chops. You can have a marinated pork chop, smothered pork chops in gravy ,oven-fry or pan-fry and a whole lot more. But this time I’d like to keep it simple and easy using pantry staple ingredients. 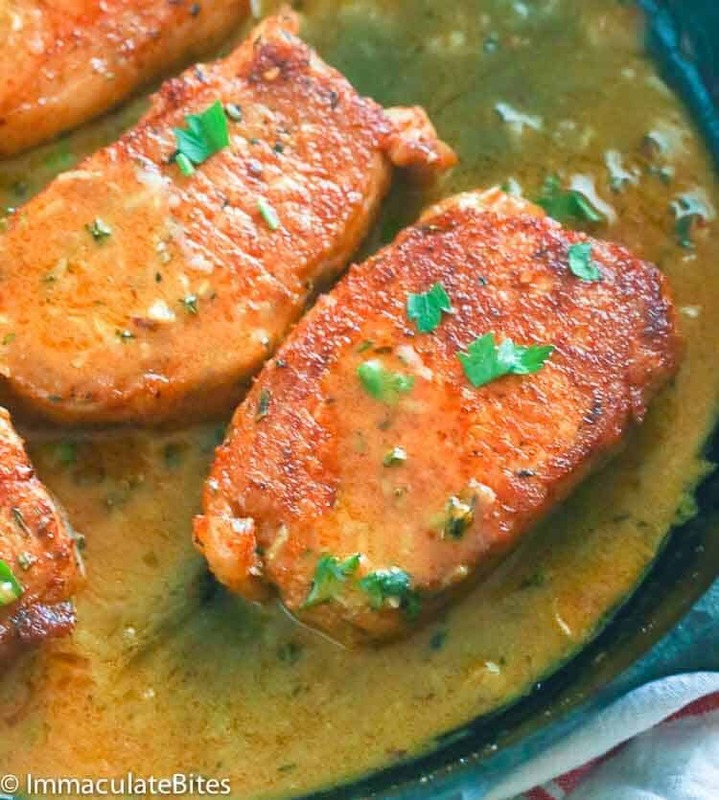 These Pan-fried Boneless Pork Chops here are a family staple in our house. It’s a quick dinner solution on busy weeknights or during lazy nights (come on, we do have those days.. 😀 ). It doesn’t require much work in the kitchen and you can go as simple as seasoning it with salt and my homemade creole seasoning and stop right there OR add a fun and summery twist to it. But you know me, I don’t hold back. 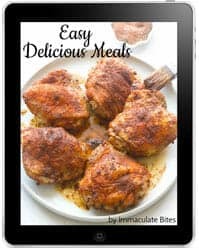 This recipe here only requires you to pat dry and rub the chops with salt and creole seasoning, fry it and simmer in an orange sauce. Feel free to play around with the pork chops rub though, but you can start with the recipe below. 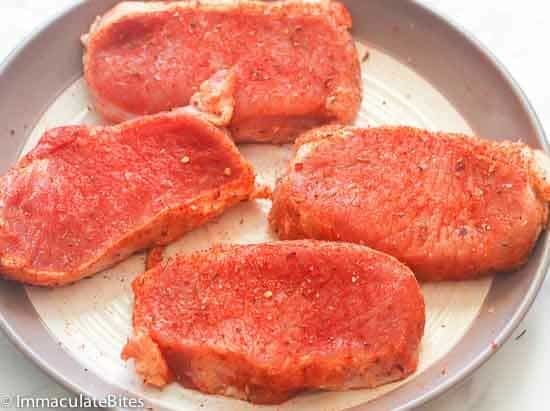 Although I believe that bones on meat add additional flavor when cooking them (and not to mention a little help there when holding the meat), this time, I’d take some boneless pork chops since that’s what I have in my freezer. But if you want bone-in chops, go for it! Aside from the fact that this recipe is fuss-free, it also goes well with a variety of sides for a festive meal. These Pan-fried boneless pork chops pairs well with my Green Bean Caaserole and Southern Fried Corn. 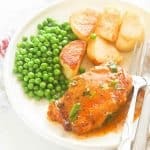 Or you can serve it with peas and potatoes. 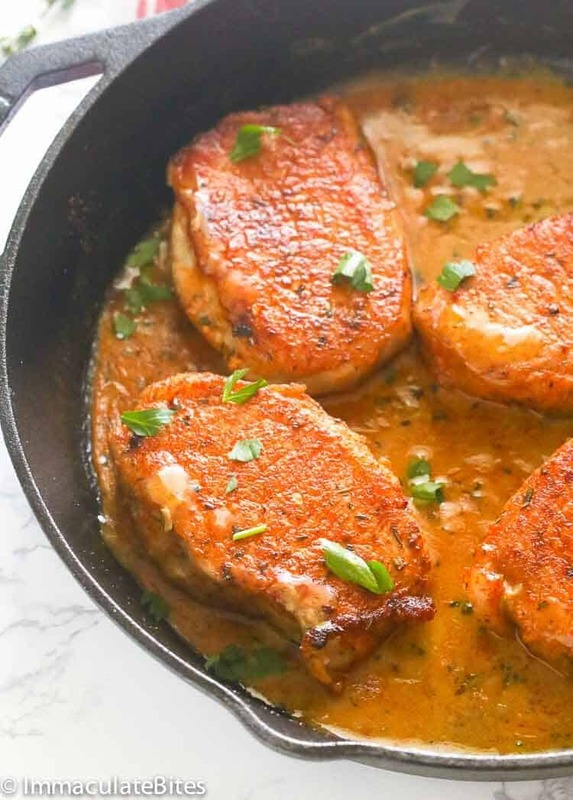 If you’re looking for a quick and simple recipe that is family-approved, don’ t think twice and have this Pan-fried Boneless Pork Chops on a weekly rotation. Just be creative with the sides and you’ll totally have an unforgettable meal every time when serving these chops. For thicker pork chops, add more cooking minutes while adjusting the temperature down to make sure it’s cooked through. You can play around with the chops dry rub base on what suits you best. 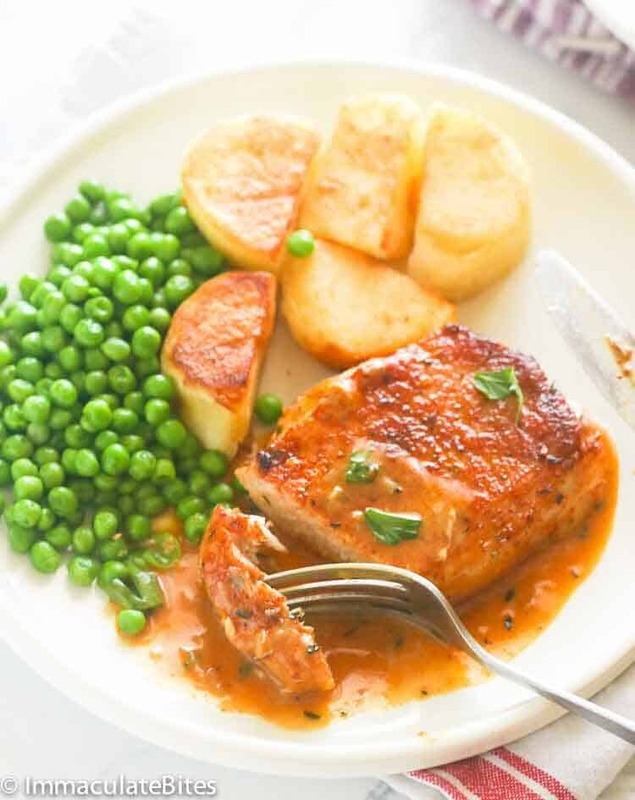 Pan Fried Boneless Pork Chops - a family-friendly meal which is an easy and quick fix for lunch and dinner, seasoned with pantry staple ingredients then pan fried to perfection and served with its orange zesty sauce. Easy yet it hits the spot everywhere! Thoroughly dry pork chops, then season with salt and generously rub with creole seasoning. 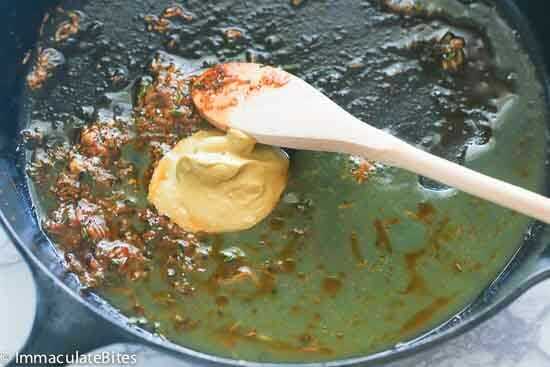 Heat about 2 Tablespoons oil in a large skillet over medium-high until hot. Then carefully add pork chops. 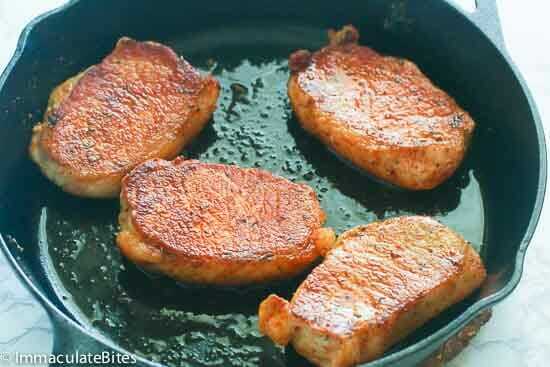 Pan fry pork chops on both sides until golden brown — about 4 to 5 minutes per side or until no pink juice. Remove chops from the pan and set aside. Add butter to the skillet , followed by garlic and thyme; saute for about one minute or less, add orange juice, orange zest, cumin, and mustard , stir and scrape up any brown bits from the side of the pan. Simmer until reduced by about half, another 1 to 2 minute, adjust seasonings. Return pork back to the pan,along with any liquid from the pork chops. 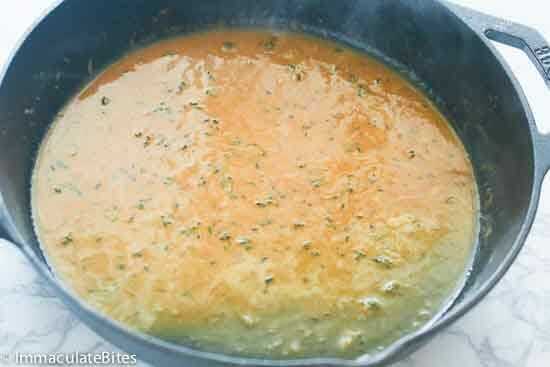 Stir to coat cook for about another minute or two and add parsley. Remove immediately from the heat and serve with the pan sauce. Then season with salt and generously rub with creole seasoning. Heat about 2 Tablespoons oil in a large skillet over medium-high until hot. Then carefully add pork chops. 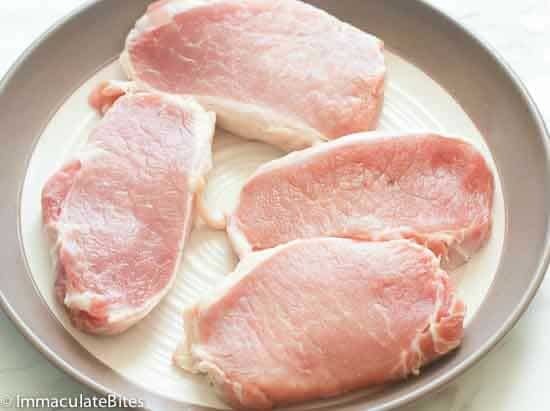 Pan fry pork chops on both sides until golden brown — about 4 to 5 minutes per side or until no pink juice. Remove chops from the pan and set aside. Add butter to the skillet, followed by garlic and thyme; saute for about one minute or less, add orange juice, orange zest, cumin, and mustard. Stir and scrape up any brown bits from the side of the pan. Sorry to hear about your stove . Super Happy to hear it was a hit with Hubby.Thanks for taking time out to share this with us.